Global Herbs MagCalm is one of the most effective magnesium supplements on the market. 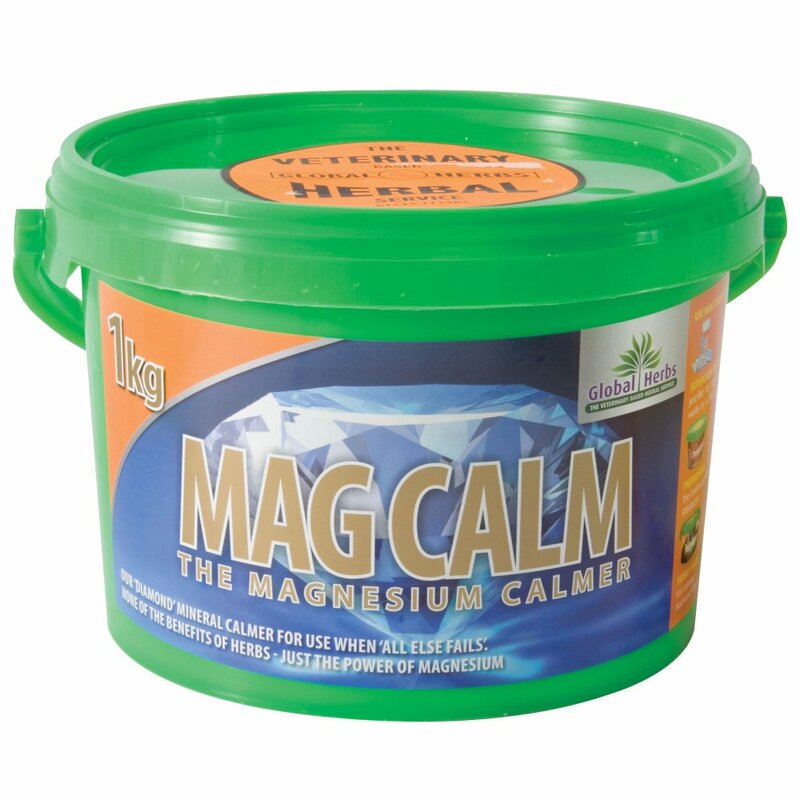 MagCalm contains a mixture of highly digestible chelated (protein bound) magnesium and minerals to encourage the horse to remain calm and not overexcited in a wide variety of situations. Magnesium can also help muscles to work more efficiently and reduce difficulty with movement. We recommend using Global Herbs MagCalm on a routine basis if your horse has not responded well enough to SuperCalm or to reduce uncomfortable muscles. This horse calmer can be used alongside SuperCalm and FriskyMare if necessary and should be introduced gradually to your horse's feed.